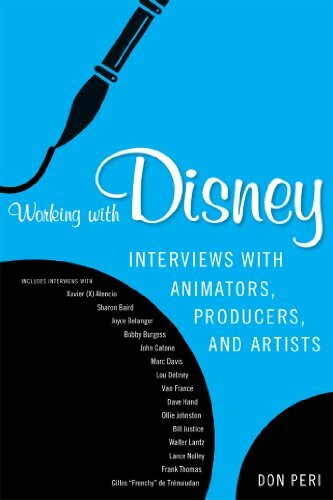 In this volume Don Peri expands his extraordinary work conducting in-depth interviews with Disney employees and animators. These recent interviews include conversations with actors and performers rather than solely animators. This book offers Peri's extensive interviews with Marc Davis, Frank Thomas, and Ollie Johnston, three of Walt Disney's famed "Nine Old Men of Animation." Peri interviewed two Disney Mouseketeers-Bobby Burgess and Sharon Baird-from the original Mickey Mouse Club Show, providing valuable perspectives on how the Walt Disney Company worked with television. Lou Debney, a Disney television producer, discusses the company's engagement with television and live-action film. Walter Lantz talks about his work in the animation business, especially with Oswald the Lucky Rabbit. And Dave Hand discusses his legendary work on Snow White and the Seven Dwarfs. Taken together, the interviews in Working with Disney create an enlightening perspective on the Walt Disney Company as it grew from its animation roots into a media powerhouse.